Just a quick note to say that I appreciate everyone's amazing comments and "good lucks" regarding Sunday's 20 miler. You all totally helped me get through it! Thank YOU! I missed my long-run buddy, Kerrie. Ran the first 10 miles solo...which was a little rough because I kept thinking of the distance, and didn't "zone out" like I should've. Had to cross railroad tracks 6 times. Not. A. Fan. Feet were surprising ok at the end. Calves? Notsomuch. Yeah, calves are STILL sore today. Ice bath was a necessary evil. And I mean evil. Rawr. It felt AMAZING to see that 20.00 on Gus' pretty little face! More about the run later! Busy with a very fussy/needy/constipated Goober monster lately. 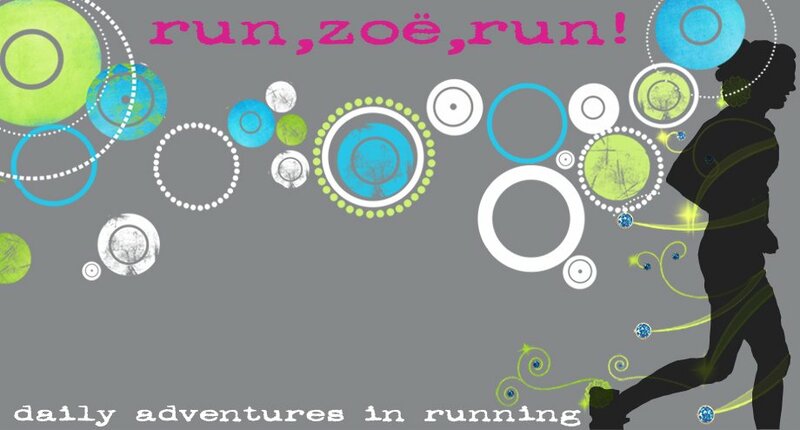 Great job Zoe! You rocked those 20 miles! Congrats! That's an amazing accomplishment! Awesome. Congrats!!! Seattle RnR better be ready for you! Yeah!! I can't imagine how great it would be to see 20 on my garmin...I was so happy just seeing 13.1....one day I might get up to training for a marathon! Congrats again! 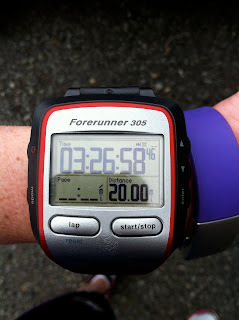 AHHHH nothing like seeing the 20 on your garmin for the first time!! My first 20 miler my garmin stopped for some reason mid run, so I ended up running a little longer JUST so I could see that number on there :) hah. Wow--great job! Can't wait to read more about it, if Miss Goober allows. Our times were even closer than I thought. So weird. Good job being a good mom to Goob. She is a lucky girl!